Steering wheel knob spinner hand handle. New design Steering wheel knob spinner. Great device makes the operating of a steering wheel much easier and convenient. Spinning mechanism ensures 360 degrees rotation with precision and control, Very easy to fit, colored handle. Simply clip it on and you’re ready to go. 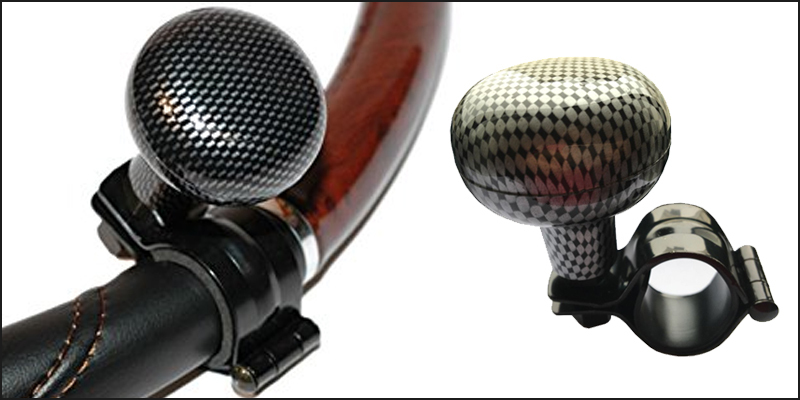 The steering wheel knob will fit on almost any steering wheel, including trucks, Lorry’s, Vans, Cars, etc. 1x Steering wheel knob spinner hand handle.